A recent Google survey of mobile users found that 72 percent of mobile users say it’s important to them that websites are mobile-friendly, yet 96 percent have visited a site that doesn’t work well on their device. 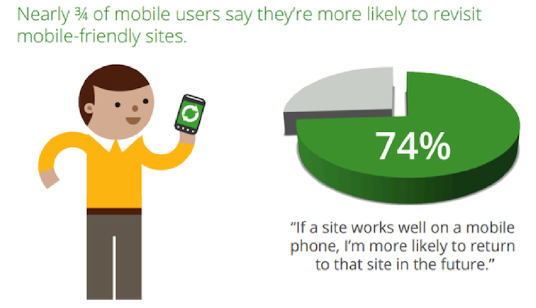 Almost three-quarters of respondents said they are more likely to revisit a mobile-friendly site. Users are five times more likely to abandon the task they are trying to complete if the site isn’t optimized for mobile use, with 79 percent saying they will go back to search and try to find another site to meet their needs. friendly site. Users are five times more likely to abandon the task they are trying to complete if the site isn’t optimized for mobile use, with 79 percent saying they will go back to search and try to find another site to meet their needs. 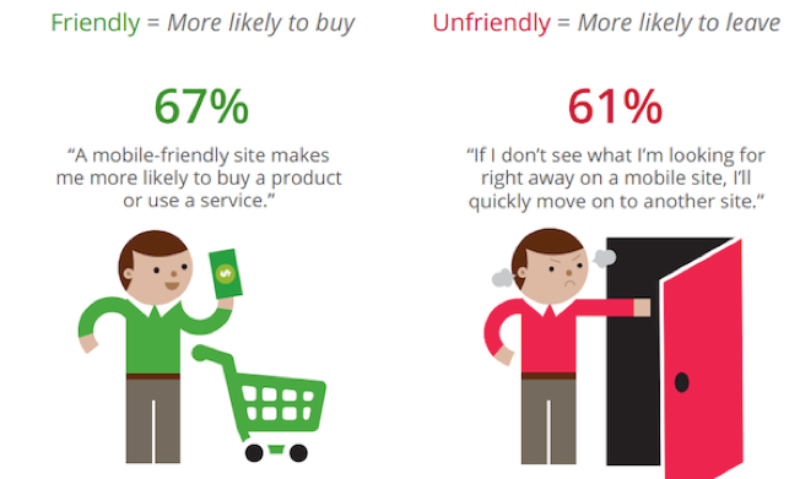 Unfortunately for e-commerce stores, 61 percent said they are likely to leave if the site isn’t mobile-friendly.Worse still, many fans of the brand are disappointed in the company itself if the mobile experience doesn’t meet their expectations. Fifty-five percent of respondents agreed, “A frustrating experience on a website hurts my opinion of the brand overall.” So what, exactly, are consumers looking for in a website accessed from a mobile device? • One-direction scrolling, either horizontal or vertical, but not both. Our mobile websites simplify your web content and allow a fast, user rich experience for your mobile audience.